Since ancient times, alchemists sought after the Philosopher's Stone and the Elixir of Life (to achieve immortality), and Panacea, the universal remedy that will treat all ailments and ensure that this eternal life is well-lived. As you'll discover in this article, lavender embodies that cure-all potential, if only utilized with skill, knowledge and respect to the plant. This ancient medicine plant was mentioned in the writings of the great Greek physicians Dioscorides (also a botanist), Galen and Pliny. 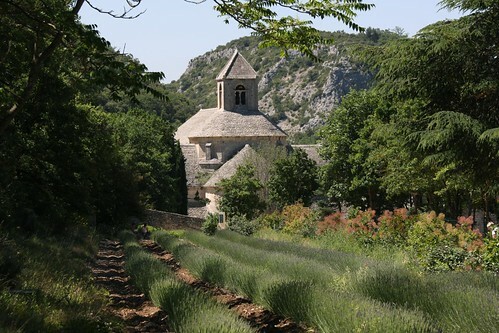 In the 13th and 14th Centuries, lavender has become one of the most popular herbs grown in the monastery gardens all over Europe. It is one of the key components of many Aqua Mirabillis formulae, including the classic Eau de Cologne (the basic accord for which contains petitgrain, neroli, lavender and/or lavandin, bergamot, lemon, orange and additional citrus oils, herbs and fixatives of choice), Chartreuse (which was originally a remedy; the ingredients remain a trade secret - but I suspect also contain lavender, chamomile and honey), and later on in the New World - the new interpretation of the cologne formula called Agua Florida - AKA Florida Water - with lavender, lime, cloves and cassia added to the original Eau de Cologne accord. A few years ago, lavender oil prove to be a true friend to me. It was the peak of the summer, and I had to take an emergency flight to Israel to care for my then very ill mother. The experience was traumatizing, as to be expected. Add to that being eaten alive by the Israeli mosquitoes and attack of any bug imaginable (they've always liked me there in the countryside...) was the icing on the cake. Every night I smeared my limbs with neat lavender oil, sprinkled a protective circle of lavender oil around my bed, and a few more drops of both lavender and Roman chamomile on my pillow. That helped to keep both the insomnia, nightmares and bugs away for the most part. But whatever bites I did get were not too much of a big deal, because I would just dab more lavender oil on them when I woke up, and that prevents them from developing into an all-day misery, with scabs and all. It made the rather horrid time of my life (even though my trip lasted only two weeks) just a tiny bit more bearable. And for that, Lavender dear, I am forever grateful. Lavender is as close to panacea as we'll ever get: No other aromatherapeutic oil is as flexible and useful as lavender. It is used to treat myriads of conditions including physical ailments fighting infections and wounds (it is a natural antibiotic and antiseptic) and mental and emotional challenges such as insomnia, stress, anxiety and depression. Keep lavender on hand to treat ailments pertaining to skin, digestion, hormones, nerves, emotions, mood, and as a general first aid and household weapon to repel insects at bay and keep it clean and fragrant. According to aromatherapist and author Julia Lawless (Aromatherapy and the Mind), small doses of airborne lavender oil have successfully improved the lives of patients in hospital in England; both improving their overall emotional well-being, reducing anxiety, helping patients find restful sleep, as well as preventing the spread of disease. And it was even used in hospitals for massaging patients. It is also utilized by midwives to calm and reassure the mother to be and ease her labouring process. Lavender makes a wonderful travel companion for the many hurdles and discomforts that can come your way - from insect bites and sunstroke to insomnia. Below are but a few of the key qualities that can be harnessed for maintaining our well-being. With all that being said, it can never be stressed enough that proper use of essential oils is paramount to their effective and safe outcome. Keep in mind that each drop of lavender represents many flowering tops: if we recall, to produce just 1 lb of oil, between 110 to 150 lb of fresh plant matter is required. 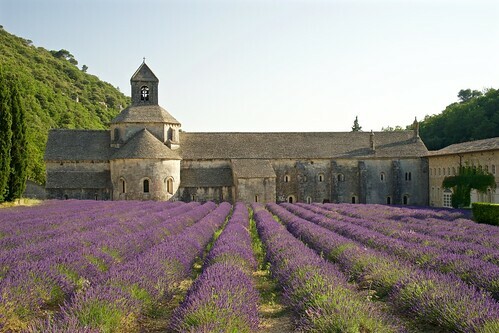 To give you a more concrete idea: an acre of lavender can produce between 12-20 lb (5.44 - 9.07 kg) of oil (which, with lavender's specific gravity ranging from 0.870-0.898) translates to at least 6.25-7.89 L depending on how good was the harvest that year). Every time you're using up a 5 mL bottle of lavender, envision you've consumed an entire row of blooming lavender bushes, and be grateful for it! Analgesic, antibiotic, anticonvulsive, antidepressat, antirheumatic, antiseptic, antispasmodic, antitoxic (detoxifier), carminative, cholagogue, choleretic, cicatrisant, cordial, cytophylactic, deodorant, diuretic, emmenagogue, hypotensive, insecticide, nervine, parasiticide, rubefacient, sedative, stimulant, sudorific, tonic, vermifuge, vulnerary. Lavender should be included in any first aid kit: use it to treat burns, wounds, cuts and bites. It reduces the pain in those uncomfortable instances, and also promotes faster healing and reduces scarring. It also repels insects, and smells much better than citronella but is just as effective in keeping blood-thirsty mosquitos away. 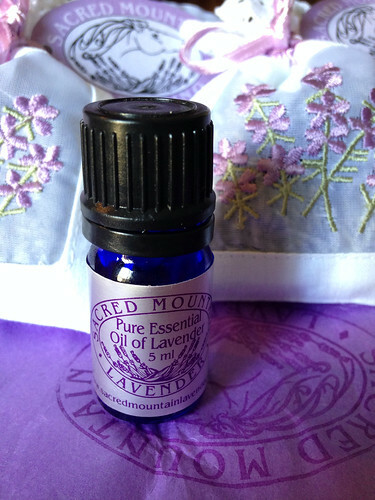 When hiking, camping or traveling - there is no better companion than lavender! Lavender is one of the few oils that can be worn neat on the skin (without requiring dilution) - which is how it should be applied when treating burns, cuts and insect bites. Please note that this method should not be misused to prevent unwanted reactions or side effects. Lavender oil can be used to treat many unpleasant skin conditions, including: acne, eczema, psoriasis, dandruff, inflammation, sunburn (dilute 1 drop of lavender in a tablespoon of aloe vera gel and apply to affected area), and as mentioned earlier - burns, cuts and wounds. Lavender oil's restorative properties can be also harnessed for skin care and beauty products, to treat oily and acne-prone skin. Lavender hydrosol makes an excellent facial tonic. Lavender is also a natural deodorant (try making your own, with baking soda and lavender oil!) and is also popular in talcum powders for the feet and the body. It can be used to treat athlete's foot, and is one of the most favourite additions to foot baths or foot creams, usually along with cooling peppermint. Because of its antiseptic properties, lavender is a popular addition to soap bars and shower gels. It is also popular in talcum powders for the feet and the body and is an excellent deodorant. Use lavender to prevent lice infections (especially good in synergy with rosemary), to keep mosquitoes and other bugs away, ringworms, etc. Like many other members of the mint family, lavender helps to alleviate nausea and treat abdominal cramps, colic, gas, etc. Lavender can support women's PMS symptoms, especially when blended synergistically with clary sage. On the flip side: there has been a bit of a controversy a few years ago about whether lavender caused breast development in boys. I haven't found literature that is entirely reliable about this issue, so it could be that these was just anecdotal incidents. If someone is in risk as a result of increased estrogen activities, it would be advisable to consult a doctor before exposing oneself to this oil (and perhaps also tea tree oil). Lavender's reputation precedes it as a cure for headache and migraines. Applying the oil neat on the temples can help alleviate headaches. A foot bath with a few drops of lavender will reduce fatigue, and lavender sprigs placed inside the hat were supposed to prevent sunstroke. Lavender has both reviving and calming qualities. It's almost as if it knows what the person who takes it needs of it - soothing or stimulation! In her book, The Fragrant Mind, Valerie Ann Worwood describes the "lavender personality" as a perfect balance between feminine and masculine: both nurturing, gentle and powerful. Indeed, lavender's power comes from having a perfectly balanced makeup of elements that like a mother perfectly perceptive to her infant's needs - seem to almost psychically tune into the patient's needs and give them exactly what's missing to promote their well-being. It does so gently but effectively. Lavender is helpful in bringing a sense of peace of mind, serenity and calm; yet also can help to ward off mental fatigue. It reduces anxiety, and inspires sleep in a wandering mind of the insomniacs. But most importantly: it helps to self-regulation emotions, in situations such as mood swings, hysteria and bi-polar personalities, etc. Visit our blog tomorrow for more lavender beauty tips and simple DIY applications.